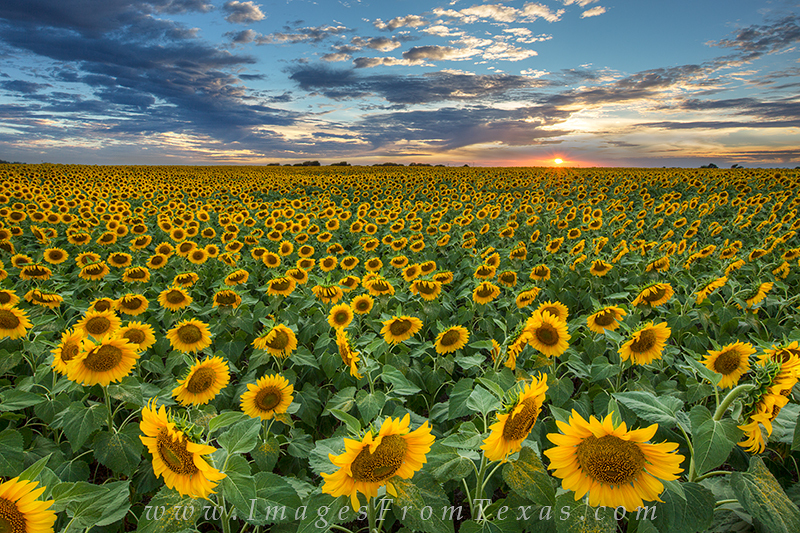 This sunflower image comes from one of the most amazing fields of wildflower I've ever seen. Located on a small road between Waxahachie and Hillsboro, Texas, I returned to this location several times in hopes of dramatic skies to complement the golded field in front of me. Each visit seemed to provide even more color and beauty. Photo © copyright by Rob Greebon.